I know this is a cliche to put in a monthly favourites post, but I really can't believe it's February already! February's my favourite month, what with my birthday (I'm 21 on Saturday - eeek! ), Valentine's (say what you like about it being commercialized, whether you're single or taken I still think it's a great excuse to treat your loved ones and maybe yourself as well...) and just that general even-though-it's-still-freezing-it's-kinda-almost-spring feeling! This February is shaping up to be both exciting and stressful though as I have to hand in my dissertation very soon, so I only have a few favourites to show you this month but they're all products I've truly been loving and using pretty much everyday. Nars Sheer Glow Foundation (£30.50/30ml) - I was colour matched for this in November and then had to endure the long wait until Christmas day as my mum quickly snapped it up as one of my presents. After finally trying it out, it's safe to say I'm in love. I haven't worn a single different foundation for the whole of January, Sheer Glow is everything I could ever want and more (bit dramatic, huh?). I have Deauville which is a light shade with neutral undertones and it matches my skin colour perfectly. The shade range is great, it doesn't feel too heavy on the skin but can be quickly built up to a full coverage and it stays put for a good 8-10 hours when powdered. The only downside is it doesn't come with a pump - I haven't been able to find one at any of the counters I've visited. I'd really rather not have to order one and pay shipping on a £3 item! Japonesque Stippling Brush (£25) - Previous to purchasing this the only stippling brush I owned was a MAC 180SE from a holiday gift set and as much as I used to love it for applying liquid foundation, it's a brush I hadn't picked up for a while due to it's tendency to shred and leave long black hairs all over my face - attractive. I picked this up in Oxford Street as I'd heard a lot about Japonesque - they make brushes for brands such as MAC and Laura Mercier - but never tried one of their products. They've only recently started being stocked in John Lewis, along with a new makeup range which I am yet to try. Oh and judging from the picture, tonight definitely needs to be brush washing night! Chanel Coco Mademoiselle Eau de Parfum (£66.50/50ml) - I found myself picking up a brand new bottle of this in Duty Free last summer, because well, who can resist Chanel? However, it's still in it's box on my mantelpiece and this year I decided I'd make a conscious effort to finish up my previous bottle of the scent, which as you can see from the picture I've nearly done! 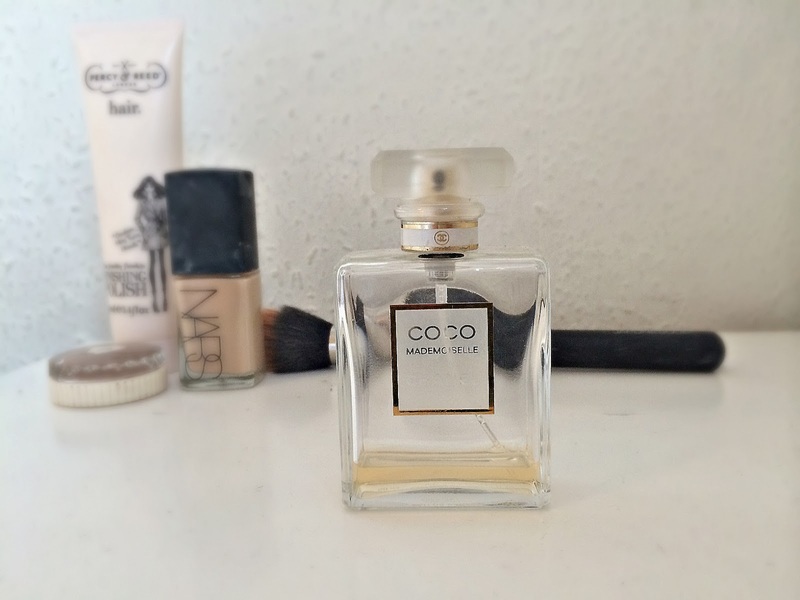 I'm not usually one for perfumes as intense or mature as this, but Coco Mademoiselle has had a special place in my heart since I first stole a few sprays from the one on my mum's dressing table! It lasts all day and longer, and it really is a true classic. Percy & Reed Finishing Polish (£10/125ml) - I got this free with a magazine ages ago but it ended up being flung in a drawer and was hidden away for a long time (Sorry P&R!). I'm very glad I rediscovered it when I did, as the great British weather has made my hair, shall we say, a little unruly lately... I use a small amount of this cream on the mid-lengths and ends of my hair to smooth down any split ends and tame any unwanted frizz. It's not too heavy but I still feel like it helps to replenish the moisture in my hair after blow drying. It smells gorgeous too, so what's not to like? Benefit Creaseless Cream Shadow in Birthday Suit (£15.50/4.5g) - This is less of a monthly favourite and more of a lifetime favourite but as I've only just started blogging I thought I'd include it. 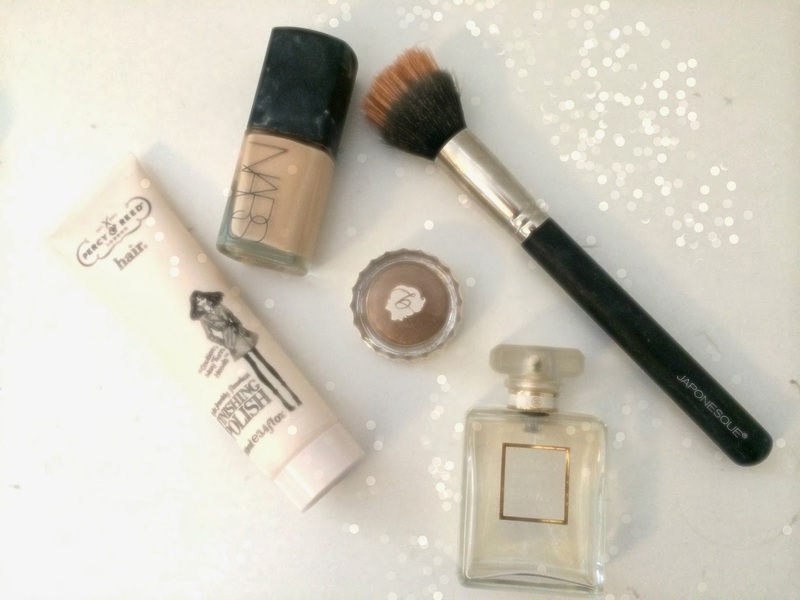 I use this shadow almost every day and have done for a least a year or two (I'm a creature of habit). 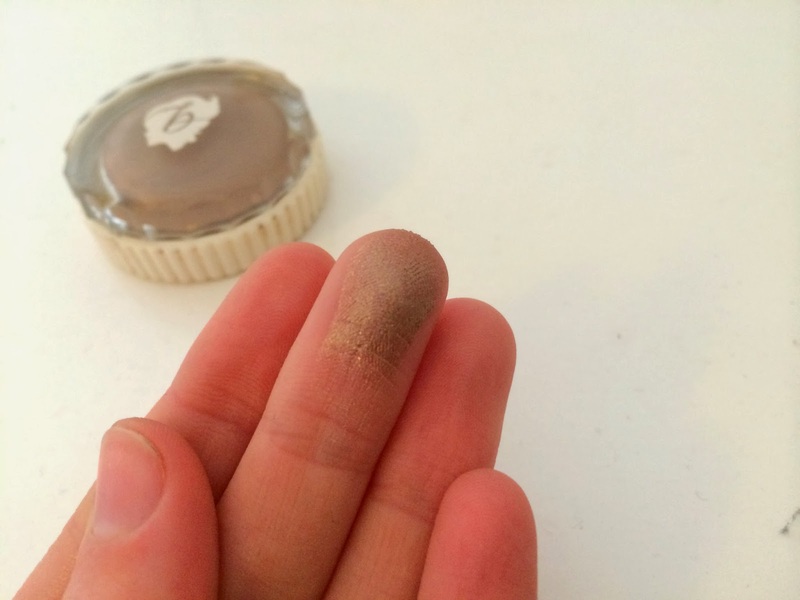 I wasn't particularly happy when last year Benefit rebranded their eyeshadows as you now get less product for more money - however, it takes more than that to put me off my Holy Grail status cream shadow! It stays put all day and I've never had any problems with creasing. If I'm in a rush getting ready for uni (let's be honest, this is every day) this works brilliantly as a one swipe and you're done eye product and still makes me feel a little more put-together than I would with bare lids. It's also lovely as an all over lid shade paired with pretty much any neutral shadow in the crease/outer corner and when I'm going for a more full-on eye look I often use this instead of primer because, well, I just love it that much! 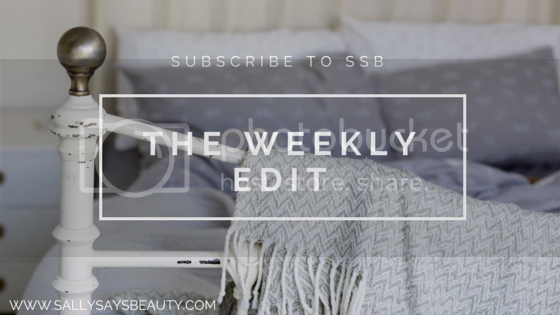 What products were you loving in January? Hi, I love you blog and I have nominated you for Liebster Award !